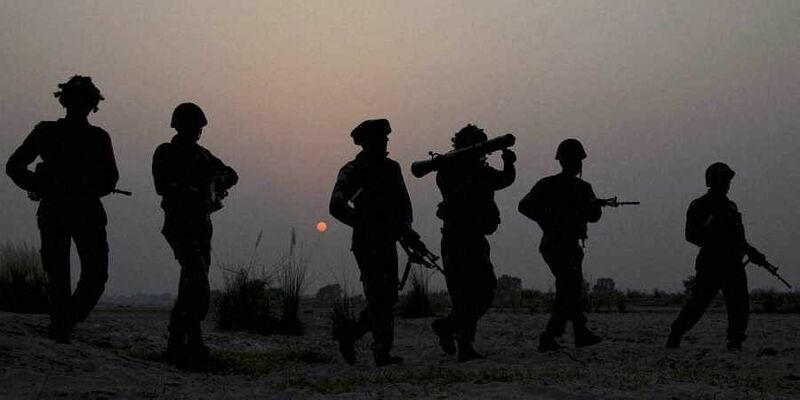 Defence sources said Pakistan Army resorted to unprovoked firing and shelling at Indian positions in Gulpur area of the LoC in Poonch district today. JAMMU: Indian and Pakistani troops traded heavy fire on the Line of Control (LoC) in Poonch district on Sunday. "Our positions retaliated strongly and effectively. No casualty or damage was reported from our side till reports came in", sources said. Pakistani troops have violated the bilateral ceasefire with impunity on both the LoC and the International Border (IB) in Jammu and Kashmir this year. Over 10,00 ceasefire violations by Pakistan have been reported this year.